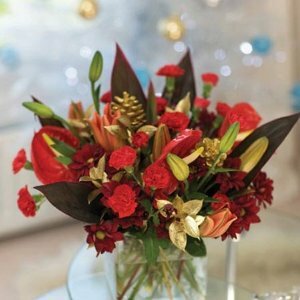 Florists in Yorkshire - Flower Delivery, Flowers Delivered. Funeral Specialist, Anniversaries and Birthdays, Weddings, Same Day Delivery, Corporate Events and Hire, Garden Ornaments and Stoneware. Interflora, Deliveries Locally, Hand Tied In Water and Baskets, Same Day Delivery Order By 2pm. Funeral and Sympathy Flowers, Bespoke Wedding Flowers, Teddy's, Chocolates and Balloons. Fabulous Flowers Delivered, Premium Hampers and Luxury Gifts, Local National International. Weddings, Flowers, Roses, Bouquets, Traditional, Modern, Funeral Flowers, Birthdays, Flower Delivery, Vases, Balloons, Gifts, Cards, Events, Florists, Corporate. Bespoke Wedding Flower Specialist, Personalised Funeral Tributes, Flowers For All SpecialOccasions, Free Local Delivery, Free Wedding / Funeral Consultation In Your Own Home. Wedding and Funeral Flowers, Flowers For All Occasions, Mothers Day and Spring Flowers, Table Floral Arrangements, Traditional and Modern Bouquets, Free Local Delivery. Funeral and Wedding Specialist, Local / Nationwide / Worldwide, Balloons, Chocolates, Teddies, All Occasions. Wedding Specialist, Local and Worldwide Delivery, Award Winning Florist, Funerals and All Occasions, Chilled Storage For Freshness, Guaranteed Quality Flowers. Hand Crafted Designs, Quality Guaranteed, Same Day Delivery, National Delivery, International Delivery. RHS Chelsea Florist Gold 2010, Wedding and Funeral Flowers, Fresh Bouquets and Hand Ties, With Style and Value In Mind, Bespoke Corporate Designs, All Delivered All Credit Cards. Order and Pay By Phone, Weddings, Funerals and Corporate, Balloons, Chocolates and Teddies, Blooms In A Box From £20.00, Chocs, Balloons and Bears. Discerning Funeral Tributes, Bespoke Service, Creative and Individual, Covering Rotherham and Doncaster, Silk Floral Displays, Stunning Wedding Flowers. Chocolates, Funerals, Weddings, Corporate, Secure Online Ordering 24/7, Express Same Day Delivery, Local National / International. Funky Floral Gifts, Outstanding Wedding Flowers, Contemporary Bridal Designs, Funeral Tributes, Same Day Flowers UK Wide, Cutting Edge Corporate Work. Flowers For Every Occasion, Personal Wedding Consultations, Funeral, Sympathy Flowers, Corporate Design, Handmade Fresh Bouquets, Delivery Of Fresh Flowers. Top Quality Fresh Flowers, Interflora; Same Day Delivery, Wedding Bouquets; Button Holes, Corporate Accounts; Balloons, Funeral and Sympathy Flowers, Silk Flowers and Gift. Secure On - Line Ordering, Elegant and Contemporary Designs, Bespoke Wedding Flowers, Beautiful Funeral Tributes, UK and International Delivery, Credit / Debit Cards Accepted. Interflora Florist, Quality Flowers Guaranteed, Same and Next Day Delivery, International Flower Delivery, Chocolates, Teddies, Balloon Bouquets and Luxury Gift.